You are about to make one of the most expensive purchases you are ever likely to make and your mortgage survey/valuation has indicated the property has damp. What now? The inspector/surveyor probably took readings using a small electronic moisture meter to the bottom section of the wall only. As soon as dampness is recorded, he will ask for a specialist survey, rarely giving the reason why or the severity of the problem leaving the purchaser, usually, more than a little concerned. Our surveyor also uses a moisture meter but instead of a couple of readings, he will “profile” the wall. 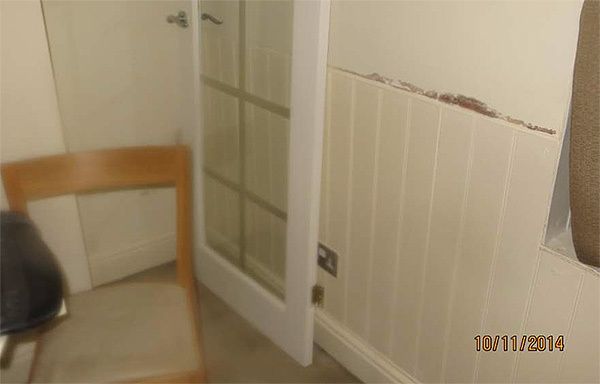 This involves taking many readings at both high and low levels in order to determine the pattern of the damp as patterns determine the type of dampness. An inspection will also be made to the paintwork, decorations, skirting boards, etc as this can also affect the results of the moisture meter. An external inspection is then carried out to determine any defects than could be causing penetrating dampness. 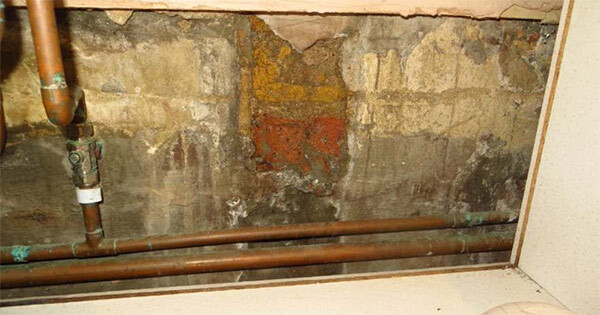 An accurate diagnosis of the cause of the dampness can then be identified and the correct advice given. You should be aware that many damp and timber companies copy the mortgage companies actions . This does not accurately determine the cause of the problem and may result in incorrect or un necessary treatments. You should therefore ensure that your property is inspected for Rising Damp, Penetrating Damp, Lateral Damp, Condensation Damp and Plumbing leaks. Similarly, There are a range of Timber and plaster fungii. 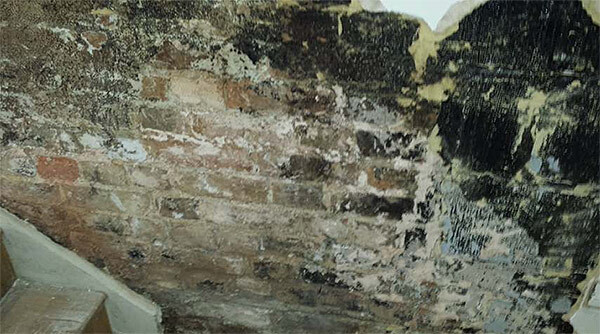 These rots are often mis-identified by the untrained eye with Dry Rot having the potential to be far more damaging than other types of rot and it is important they are correctly recognised and treated. Once the inspection has been carried out a full written report of his findings will be issued. This will include details of his findings, conclusions, recommendations , photographs, and where necessary, drawings, recommendations for other trades and a quotation. For your pre-purchase inspection call 01737 851178 today or book an inspection online.